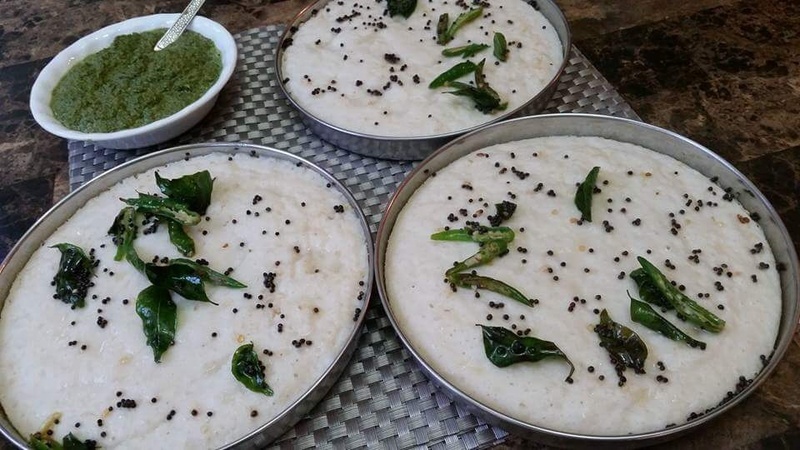 Having struggled for 5 years before finally getting success, I can completely relate to those for whom making soft delicious idlis is but a distant dream! 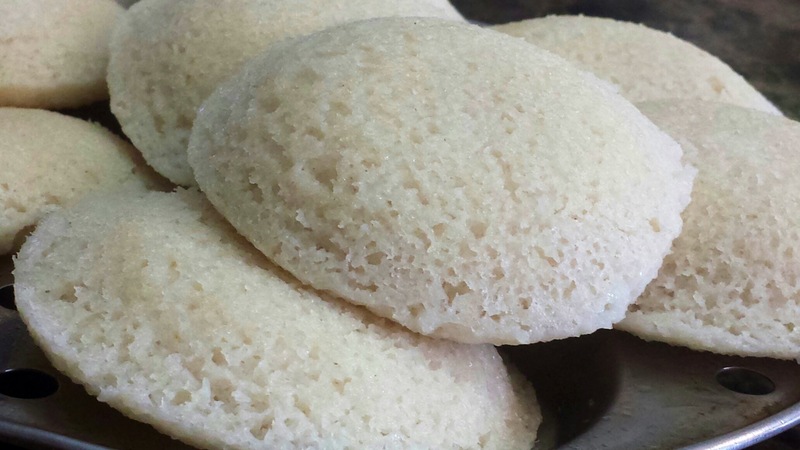 But thanks to my sis-in-law’s recipe and tips learnt from my aunt, Bhawani Rao…I have been making delicious soft idlis quite successfully for more than 12 years now! In one bowl soak 1 cup udad daal with 1 cup of poha and in the second soak 2 cups idli rava (or if that is not readily available you can substitute with regular basmati rice) overnight. Next morning, grind the poha and dal mix as fine as possible using very little water and coarsely grind the soaked and drained idli rawa. Then mix the two pastes together and add some salt. Cover and keep overnight or upto two nights in a warm corner of the house. When it rises and is light and fluffy…it is ready to be steamed. 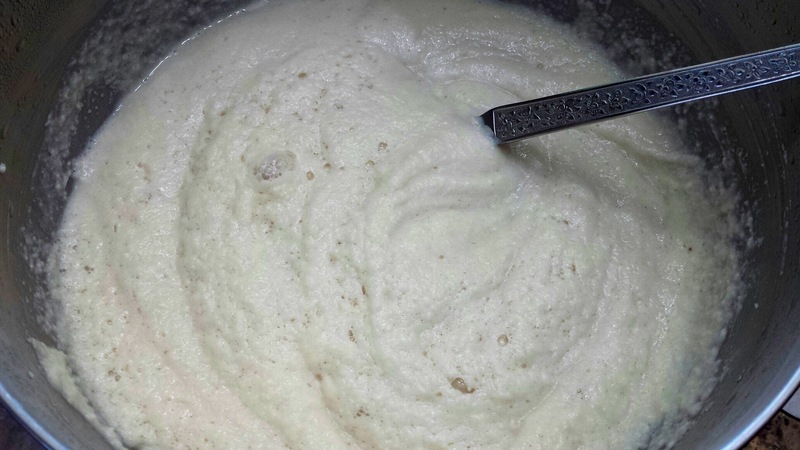 Then mix the batter a couple of times by hand so that it is one cohesive mix ( important step ecause the idli rawa tends to settle at the bottom). Now pour into greased idli moulds. Heat a little water in an Idli cooker/regular cooker(without whistle)till it starts simmering. 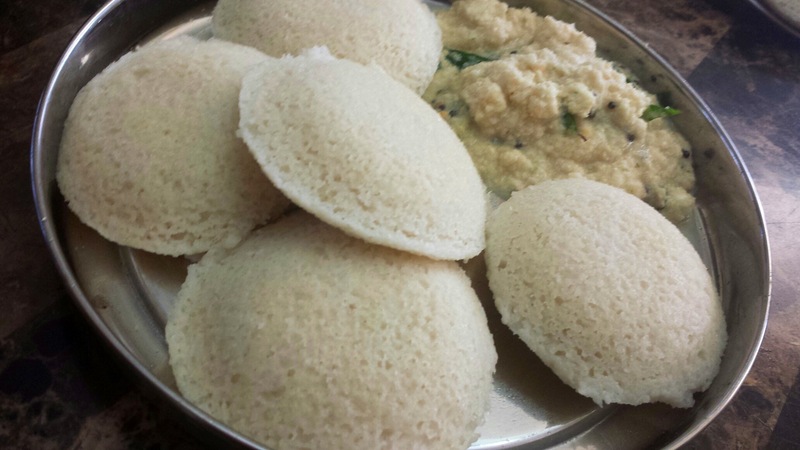 The level of the water should be such that it does not touch the bottom most Idli mould. 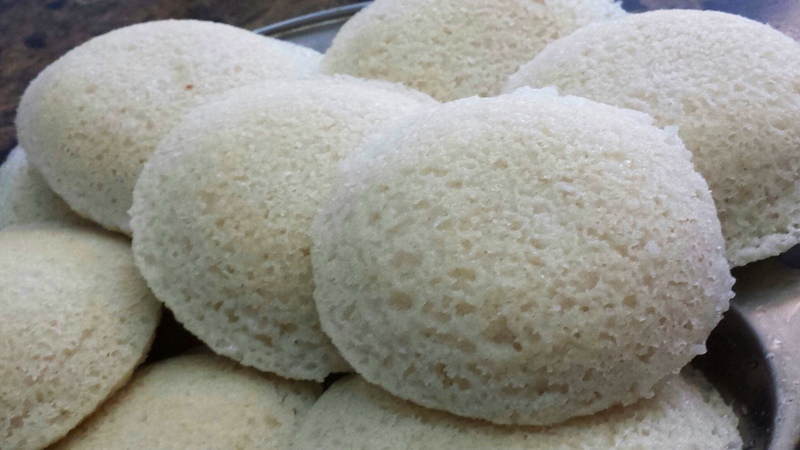 Now steam the idlis on medium high for about 10 minutes. Leave in the cooker for another 5 minutes…for the residual heat to cook it further. 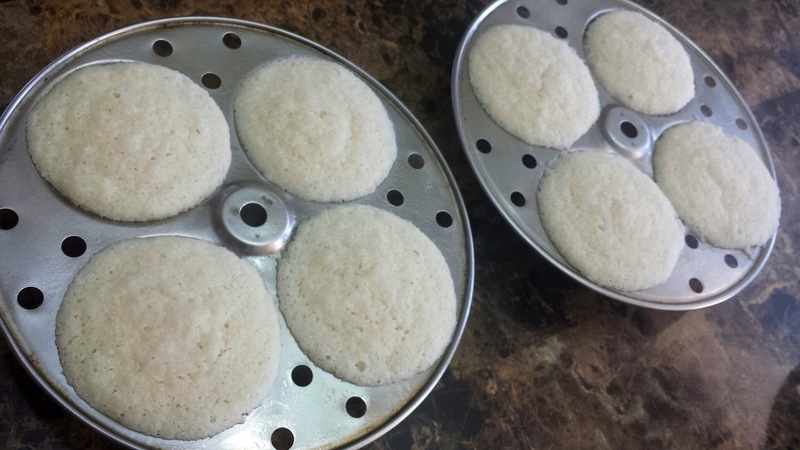 Then take out the idli moulds and air for another 5 minutes….unmould and serve!! PS: when you align the sections of the Idli steamer, make sure that the Idli moulds alternate between different levels! 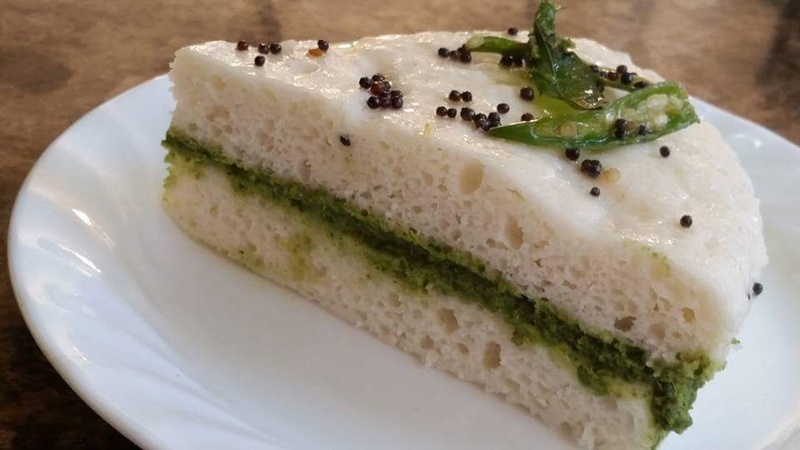 to make white Sandwich dhokla filled with some tangy green chutney. i want to ask u one more thing- which aata do u recommend ruchi for making rotis or paratha on daily basis? i use aashirwad, sujata. plz reply soon.and keep up the good work.thx again. So happy that the recipe worked for you Payal! 🙂 as for your question about flour I usually like to use Ashirwad Atta. I make a very healthy and delicious multigrain flour mix loosely inspired by Baba Ramdev’s Arogya atta. Will post it on the website soon! before trying I want to ask do I need whole skinless urad dal n what kind of poha,thick /thin or that doesn’t matter. 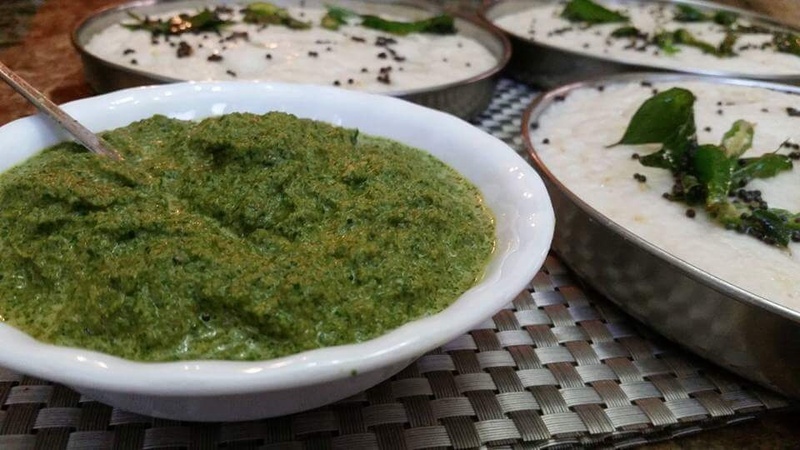 You use udad ki dhuli dal for this recipe. Poha…thick or thin doesn’t matter! Do try with poha added…it helps in the batter fermenting really well! thank you so much for the quick reply!! i folow u a lot on epicurean delight and ghar ka khana too. also have cooked a lot of dishes following ur all the post. all the dishes came out awesome:) please share the recipe of aata (flour) soon. Will post recipe for multi grain flour…. real soon! I made idlys today using this recipie and it turned out fabulous!! All these years I avoided idyls as mine never turned soft & spongy, I did not like adding eon to idyls. This recipe is just perfect. Thanks again!!!! Devanshi, what a lovely message to see at the start of the weekend…THANKYOU for the feedback, so glad your idlis came out well! What exact process. Do I have to follow. If I use basmati rice. I mean with consistency of batter. Or anything specific.